The European Environment Information and Observation Network defines conservation as “efforts and activities to maintain and sustain those attributes in natural and urban environments which are essential both to human physical and mental health and to enjoyment of life.” Environmental conservation is a wide-ranging industry that supports biodiversity, as well as the preservation of landscapes, habitats and species together with management of public access. As stewards of hundreds of acres of land in their communities, turf managers play a central role in conservation at the grassroots level. By effectively implementing and communicating conservation efforts, golf course superintendents can establish themselves as thought leaders in the community and help to shape the narrative around conservation. There are several tools available to help turf managers improve their conservation efforts and communicate environmental progress to golfers, local governments, and members of the community at large. From university turf extension programs to national organizations like the Golf Course Superintendents Association of America (GSCAA), the Environmental Institute For Golf, and Audubon International, turf managers have a number of tools at their disposal to improve, innovate, and inspire conservation in their communities. The GCSAA offers resources for Water Conservation, Energy Conservation, and Pollution Prevention that are available online to the general public. These resource pages are full of articles, webinars, case studies, and worksheets that serve as blueprints for superintendents interested in conservation. While high-tech video equipment may not be in every turf manager’s budget, social media platforms offer free avenues for superintendents to effectively communicate with the public. Platforms like Twitter and Facebook are perfect places to convey conservation strategies and post anecdotal photos and videos showing them in action. Our pollinator garden and nature trail contain several species of flowers, vegetables and plants that make it a welcoming environment for insects and animals. 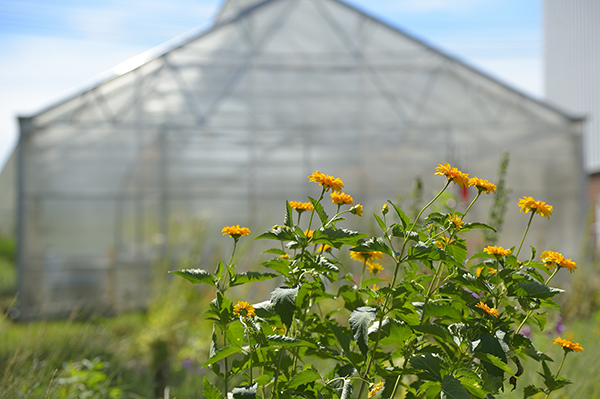 The plants attract pollinators (including bees, wasps, butterflies, and hummingbirds) that fertilize fruits, vegetables and flowers in the surrounding land. Pollination is crucial because it leads to the production of the fruits and vegetables we eat, the generation of seeds that will create more plants, and the creation and maintenance of the habitats that many animals need for food and shelter. Conservation is crucial for the protection of our natural habitats, wildlife, and resources. Golf courses have major environmental impacts on their communities, but not all see the positive effects on the surface. 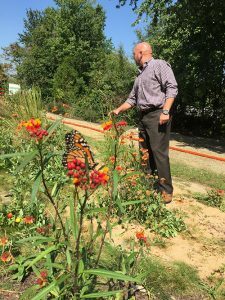 It’s often up to superintendents to implement environmentally sound management strategies and tell their conservation story to the public. Luckily, there are plenty of tools available to make this task a little easier. In future Blog posts, we’ll dive deeper into how Aquatrols creates cutting-edge products that have made us leaders in water and nutrient conservation.